Inside this deck find 50 SHOPPING FOR NIRVANA IN CUBA spirited adventures. Nirvana is about the objects you collect, the people you meet and the experiences you have. My visit in 2003 was of an island lost in time. I flew direct from Los Angeles, hired a personal guide for the week and stayed in private homes called casa particulares. What I discovered was a vibrant art community, spirited music and friendly people. I don't speak Spanish, but a smile went a long way. It was the most challenging and exciting trip I had ever taken. 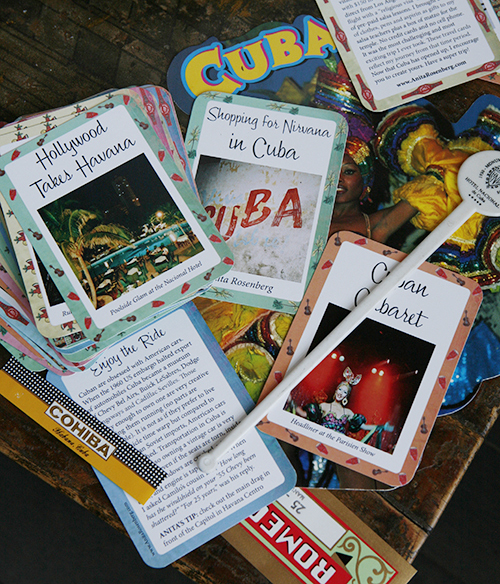 These travel cards of my photos, stories and tips reflect my journey from that time period. 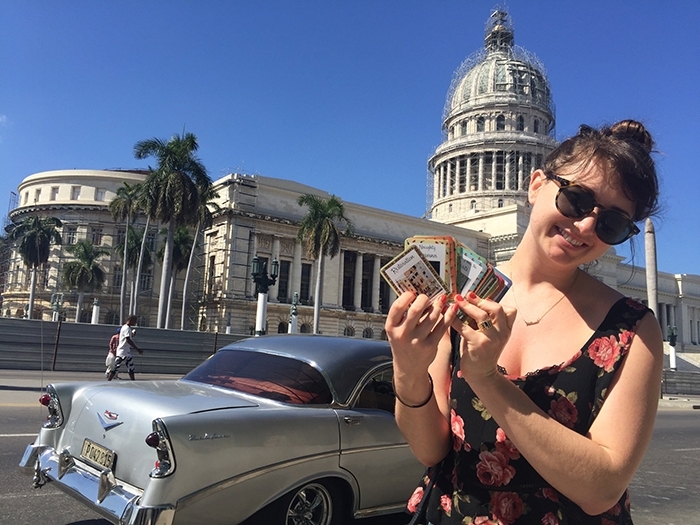 Now that Cuba has opened up, I encourage you to create yours. 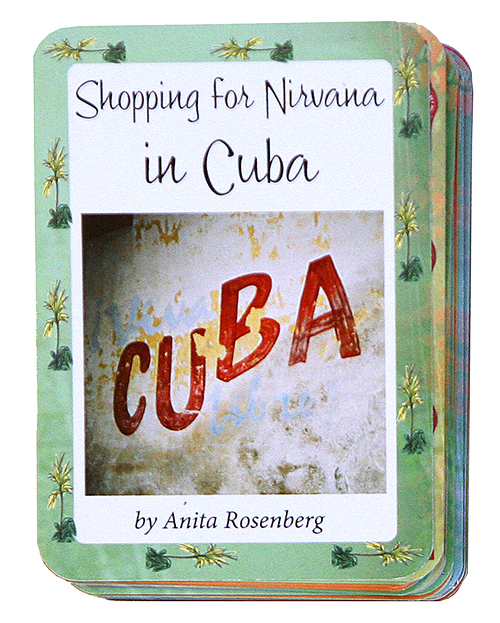 Toss the deck in your suitcase and compare Cuba of 2003 with Cuba of today - you might be surprised that not much has changed or maybe a lot has changed. 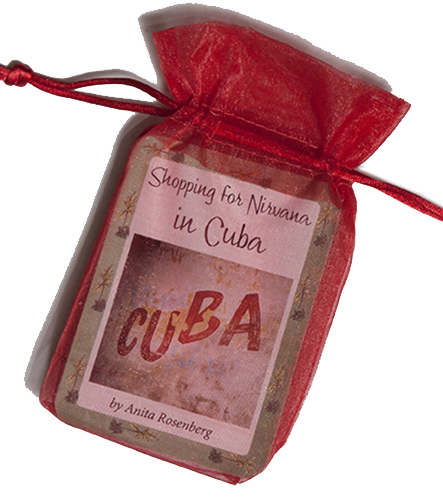 "Now I am heading down to the big, beating heart of Cuba - Havana! Habana! I am going to go native. There's going to be nothing touristy about me! I'm simply going to see how real Cubans live."